As the all-new PADI Travel™ Affiliate Program rolls out, PADI® Dive Centers and Resorts are poised to take part in a growing digital marketing presence that stands to significantly raise the bar for how dive travel is sold. This recently launched division replaces the former PADI Travel Network with a more comprehensive, refined program designed with additional benefits. Qualifying PADI Dive Centers and Resorts can now more precisely leverage PADI Travel’s expertise in the dive community to earn attractive commissions, help increase in-store sales and assist with organizing successful group trips. PADI Members who’ve been on board with their own dive travel agencies don’t need to be sold on the concept. Depending on location, anywhere from 15 to 50 percent of gross profits can generally be attributed to dive travel and the related purchases. For PADI Dive Centers and Resorts with defined offseasons due to weather or other seasonal factors, dive travel sales bridge the gap during those slow periods. When travel generates sales, dive centers see a corresponding uptick in gear purchases and specialty certifications sales as customers prepare for their dive vacations. In the Digital Age, the old ways of doing business have been broadsided by a barrage of internet-savvy business models that have turned the world of commerce upside down. Among these are affiliate programs. Simply put, affiliate programs (sometimes called associate programs) are business arrangements in which an online merchant pays affiliates commissions to send them traffic or referrals that result in a sale. There are always three parties in this arrangement: the customer, the affiliate and the merchant. These affiliate sites traditionally post links to the merchant site and are paid according to a particular agreement. The affiliate program method was -pioneered in 1996 when Jeff Bezos, CEO and founder of Amazon​.com, popularized this idea as an internet marketing strategy. Amazon.com began by having affiliates post links to individual books for sale on Amazon.com, or for Amazon.com in general, and agreed to pay affiliates a percentage of the profits if someone clicked on the link and then purchased books or other items. The affiliate helped make the sale, but Amazon.com did everything else: took the order, collected the money and shipped the book to the customer. Needless to say, the digital affiliate sale model has skyrocketed beyond anyone’s imagination, well beyond books to every aspect of the -consumer marketplace. The affiliate’s model makes practical sense on multiple levels. Recruiting affiliates is an excellent way to increase a brand presence and sell products (such as travel) online under the banner of an established brand – in this case PADI – which infers quality assurance. It’s also an economical and effective marketing strategy – a great way for a company to spread the word about its products, while increasing its presence through affiliates that can likewise capitalize on the brand association without investing much -capital outlay. Over the past few years, affiliate programs have grown enormously in popularity, taking many interesting forms. For many businesses with website portals that don’t exclusively rely on eCommerce, functioning as an affiliate is a good way to participate in eCommerce while being associated with a large established brand with superior name recognition. So how does being a PADI Travel Affiliate work? Think of travel.padi.com as the platform for growing the scuba and freediving market. 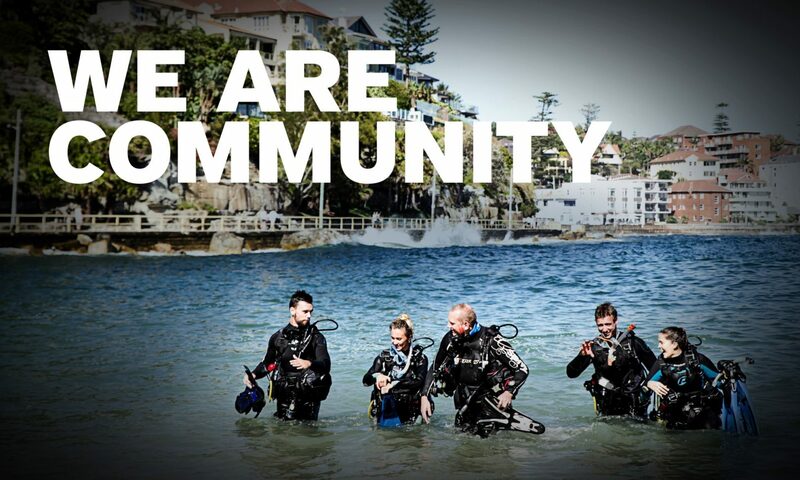 Through participating PADI Affiliates, PADI Travel combines every aspect of the dive travel experience under one virtual roof – from research, dive instruction and certification to travel purchases. The Affiliate Program takes into account the various physical assets, differences, limitations and opportunities of qualified participants, allowing for a customized approach tailored to the specifics of each PADI Dive Center or Resort. As affiliates, qualifying PADI Dive Centers and Resorts can take the lead and sell any of the hundreds of destinations and live-aboard trips offered by PADI Travel. That means no more surfing to various sites or using search engines to root out dive travel destinations that may not be affiliated with PADI. On a practical level, the program is streamlined into three distinct segments: affiliate commissions; in-store sales; and group trips and charters. Each carries its own degree of profit potential, with considerations given to the spectrum of capabilities and circumstances of individual PADI affiliates. “We’ve worked with numerous PADI Dive Centers and Resorts to create the program from scratch, and it’s really designed to meet the needs of those who use it,” Lonardi says. With affiliate commissions, the process is simple. PADI Dive Centers earn profits by referring divers to PADI Travel. These dive customers are most likely to prefer independent travel and are unlikely to book group trips. Dive centers can earn commissions in situations where otherwise there would be no sale. To capitalize on this new revenue stream, the shop simply needs to refer them to PADI Travel (ideally by using a trackable link or by placing the reservation directly on travel.padi.com on their behalfs). The next tier of the program, in-store sales, allows PADI Travel to refer divers to PADI Dive Centers and Resorts. Once customers have booked dive travel, they’re more likely to purchase equipment and sign up for courses or other relevant dive services. After divers book a trip through PADI Travel, they’ll be sent follow up communications suggesting they return to the referring dive center to check out relevant training opportunities and new equipment suitable for their dive excursion. The final segment of the Travel Affiliate Program, group trips and charters, provides PADI Dive Centers and Resorts with access to unbeatable service, group discounts, extra spots, dive show specials and free diver insurance when they book their group trips through PADI Travel. Additionally, PADI Travel takes the legwork out of organizing group travel. With a 24/7 customer support team, PADI Travel can deal with any issues as they arise – plus, the upcoming PADI Travel Marketplace makes it easy to fill any unbooked spots. If you’re among the PADI community who already sells travel, the Travel Affiliate Program can substantially enhance your efforts. PADI Travel gives affiliates access to a huge global selection of liveaboards and resorts, as well as outstanding marketing support that includes training guides and POS (point-of-sale) materials. For those with an in-house travel agency, you can count on access to the largest inventory of bookable scuba diving properties in the world – 400 and growing. That means any bookings you make through PADI Travel will earn cash at the standard travel agency commission rate. If you don’t already sell travel, now you can earn an attractive commission for every diver you point toward PADI Travel. There’s no need to organize a trip, no need to do anything beyond being the connection between the customer and PADI Travel. In all cases, PADI Travel will show you the money by tracking referrals as affiliates are provided a special link or tracking code automatically associated with the seller and customer that triggers a commission payment once a booking with PADI Travel occurs. Sellers are also provided with offline materials combined with codes that ensure where and how sales are generated and ensuing commissions. A version of this article originally appeared in the 4th Quarter Edition of The Undersea Journal. Written by PADI Regional Manager, Hans Ullrich. How many of your students (and even yourself) have dreamed about taking a dive trip to The South Pacific? For PADI Members living in Australia or New Zealand, these islands are actually closer than you might think! Some of these islands are only a 2.5 hour flight from Brisbane or Sydney and offer fantastic diving for all levels of divers. Other islands are a little further but are definitely worth the extra travel time. Let’s go on a little tour of the South Pacific so we can show you why you should plan your next group trip here. Our first stop is Tonga, notoriously known as the destination where you can go swimming with whales. Every year from July to October humpback whales start their migration, from the cold Antarctic waters to the warmer waters of Tonga, to give birth to their calves. Tonga also offers some amazing diving spots worth exploring. You won’t want to miss out on wreck diving in the Solomon Islands. Yes Truk Lagoon is famous for its incredible wreck diving, but don’t forget about the Solomon Islands. Just a 3 hour flight from Brisbane will get you to the location of where the WWII battle of Guadalcanal took place. Here you will also be able to visit the Iron Bottom Sound wreck, which includes 200 odd ships and around 690 aircrafts that lie within it. Many of these wrecks are too deep for recreational diving. However, the Solomon Islands also offer some of the world’s best and most spectacular wreck sites that are at suitable for recreational diving depths. Have you heard about the Cook Islands? Voted as having some of the most beautiful beaches in the world and that’s not even including the fantastic diving! With 15 Cook Islands, a total of 240 Square meters, spread out over 2,200.000 square kilometres of ocean, the island numbers speak volumes. If you’re convinced that there is some good diving here, then you’re right! Next are the beautiful reefs of Vanuatu, such as Million Dollar Point, the Cathedral, Hideaway Island, Mele Reef and of course the Coolidge. The Coolidge reef is one of the best known wreck dives in the world. Only a 2.5 hour flight from Brisbane to Santo, you won’t want to miss out on visiting this wreck site! What about Samoa? Well Samoa, also known as the heart of Polynesia, offers diving to both novice and experienced divers. Rich in marine life, the surrounding reefs include around 900 species of fish to look out for. Not only does Samoa have great diving, but it also has plenty of topside beauty to offer. Our next stop brings us to New Caledonia. New Caledonia has the world’s second largest coral reef stretching to 1,600 kilometres around the mainland forming the world’s largest lagoon. Smaller islands surround the reef including Loyalty Islands and the Isle of Pines. This French colony has much to offer with European cuisine and shopping combined with the beauty and culture of the South Pacific. The diving and snorkelling here is also are spectacular. Some must-dive sites to add to your travel list include Bay of Prony, Tenia, the Town of Hienghene and the Isle of Pines. Our final destination is the French Polynesia or Tahiti, as is it mostly known by. The island of Tahiti is the capital of the French Polynesia. Tahiti offers some great diving, but there are many other islands that are simply fantastic for diving and snorkelling. These islands include Rangiroa, Fakarava, Bora Bora, Tikehau and Moorea. Consider this- from the 118 islands in French Polynesia, only 11 have PADI Dive Centers on them! So, after our tour of the South Pacific, I hope you have a better idea what is out there and how close some of these places actually are. Consider taking your next group dive trip to the South Pacific and explore some fantastic places. For more information please visit https://padi.travel.com or contact your PADI Regional Manager. You already know that travel and scuba diving go hand in hand. You probably also know that the majority of scuba divers will take multiple international dive trips during their lifetimes. Using this fact to your advantage and offering group travel opportunities to your customers can spell success for your business. Embedding travel into your business is a proven way to engage new divers and to keep certified divers active. The promise of getting to use new skills and explore new places encourages divers to enroll in more courses and buy more equipment. Successful PADI Dive Centers sell group trips to fascinating scuba diving destinations to leverage their customers’ desire for adventure. Group trips fuel engagement by building a community of travelers who are loyal to your business. This makes dive travel a win-win for everyone involved. Why Organize Group Trips Through PADI Travel? • Unbeatable group discounts – PADI Travel offers the best prices and terms around. As a global, wholesale travel agency with significant reach and purchasing power, PADI Travel is able to pass on competitive rates and terms to you when you book group trips. You have access to unbeatable group discounts (a.k.a. commissions) through PADI Travel that you can decide to pass on to your customers or to increase your margins. • Special deals – The PADI Travel team negotiates special deals that may include anything from free enriched air nitrox fills to significant overall discounts. You can save big by securing available special offers on your next trip. • Extra spots – One of our most popular promotions for group trips booked through PADI Travel is extra spots. Sometimes there are free cabins, rooms, equipment or other special terms for large group bookings. Again, you can decide how to manage these extras – increase your margins or pass spots on to your customers or staff. • Diver medical insurance – Every diver in your group will benefit from the complementary diver medical insurance offered with each booking. This means reduced extra costs and more savings for your group. If you end up with unfilled spots on your trip, PADI Travel can help you fill them. The future PADI Travel Marketplace will have global reach and help divers connect with you in order to fill your trips. As an added benefit, PADI Travel acts as your personal tour operator. If any problems should arise prior to departure or after your customers are on the ground, the PADI Travel team will be in charge of handling issues. The 24/7 world-class customer support team is on hand not only to help you organize and fine tune your group trip, but also to deal with any problems or questions that may occur at any point. This essentially removes many of the hassles associated with organizing travel and reduces your personal workload. You also can take advantage of the PADI Travel team of scuba travel experts to improve your knowledge of the world’s top dive destinations. Use this information to advise customers and increase your bookings. PADI Travel can help you organize, market and run successful group trips across the globe. Simply ask for a nonbinding quote the next time you organize a trip and discover new ways to thrill your customers. The all-new global PADI Travel™ features an online travel platform and full-service team dedicated to providing top-notch travel services – inspiring divers to explore more of the underwater world and take care of our oceans. PADI Travel is designed to energise and grow the overall diving community for the benefit of everyone in the dive industry, offering hundreds of dive destinations around the world and poised to expand over the coming months with more dive resort offerings. The highest customer satisfaction with expert customer support 24 hours a day, seven days a week. One of the largest online selections of liveaboards and dive destinations in the market. Dedicated dive travel experts with in-depth dive knowledge and experience to provide personalised advice; the team averages 2,500 dives per customer service representative, with dive experience spanning a total of 80 countries around the world. Eco-friendly trip options to help people dive with a purpose. PADI Travel launches as a leading online travel provider for divers, offering a user-friendly experience to research, compare and book dive vacations anywhere in the world. In today’s digital world, travellers have high expectations with respect to their ability to find information and book online. The new travel platform is made possible by integrating tried-and-tested technology and a global team of dive travel experts from Diviac, a startup dive travel company that has been successfully operating in the online scuba travel space since 2015. Liveaboards and PADI Resorts can tap into new customer sources, increase bookings and reduce administration. PADI Dive Centres can get assistance organising and marketing group trips, earn travel agent commissions on trips booked for their customers with PADI Travel, or earn affiliate commissions for divers referred to PADI Travel. PADI Professionals can earn valuable incentives for divers referred to PADI Travel. PADI Dive Centres will be able to receive direct online bookings for their day trips and PADI courses (COMING SOON!). Explore travel.padi.com to discover all that PADI Travel offers to the dive community. To learn more about joining the PADI Travel affiliate program, visit travel.padi.com/affiliates. If you’re interested in listing your dive resort on PADI Travel, please contact sales.travel@padi.com. To get support in organising group trips contact travel@padi.com.